There are several bodies of Freemasonry of which a Mason may become a member AFTER he has been raised a Master Mason. Some of these bodies you may have already heard of, but didn’t know they were comprised entirely of Masons such as the Shriner’s or Knights Templar. Essentially Freemasonry is divided into two primary bodies – the York Rite and the Scottish Rite, along with the Shrine and several appendant bodies. The York Rite is composed of the Craft or Blue Lodge through which your partner initially joined Freemasonry. There are fewer degrees in the York Rite than in the Scottish Rite, and are characterized as the Royal Arch, Cryptic Council and Knights Templar. These bodies provide opportunities for additional contemplation of the lessons taught in Craft Masonry, but a brother who progresses through all the bodies in Freemasonry is no “more a Mason” than that of a Master Mason. The Scottish Rite is a more recent evolution, and developed as additional lessons to those taught in the York Rite. Unlike the York Rite, Scottish Rite degrees are simply numbered 4-33 with the 33rd Degree being honorary. Moreover, as in the York Rite and as all Masons understand, a 32nd or 33rd Degree Mason is again no “more a Mason” than any Master Mason. The Shrine is what some may consider the public view of Freemasonry. It is founded on the principles of the Craft but without the solemnity of the Blue Lodge. Among its many public and charitable functions, the Shrine is especially noted for its operation of the many Childrens’ Hospitals and Burns Institutes, as previously mentioned. 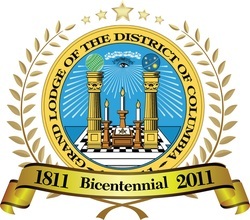 In addition to the above Masonic bodies there are several “appendant” organizations including the Order of Eastern Star, Job’s Daughters, Rainbow Girls, DeMolay, National Sojourners, High Twelve, Grotto, Tall Cedars of Lebanon, and others. In fact, there is a Masonic organization for every member of the family. For example, DeMolay is for boys, and Rainbow Girls for young ladies. There is also the Order of the Eastern Star (OES). Membership in the OES is open to all Master Masons, and to the female relatives of a Master Mason (who is living or deceased). OES is the largest Fraternal organization in the world to which both men and women may belong.